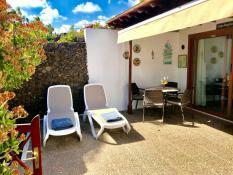 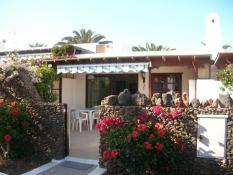 Casas del Sol is an established and well maintained complex of 128 privately owned villas, of which more than 90 can be rented as holiday homes. 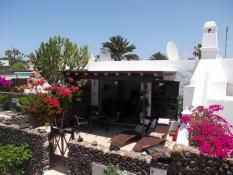 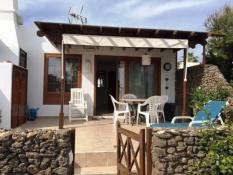 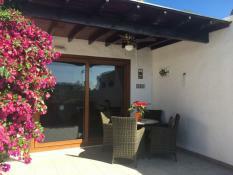 Established in the early 80s, Casas del Sol was one of the first developments in Playa Blanca and is in a prime position opposite the harbour. 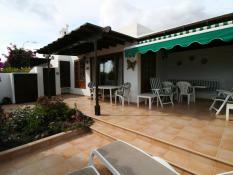 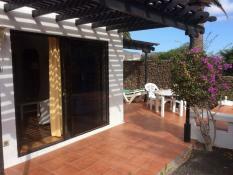 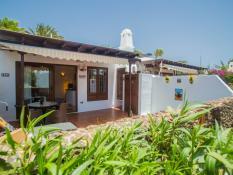 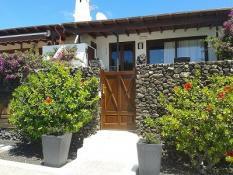 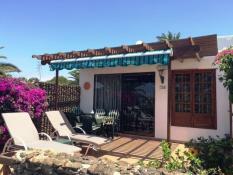 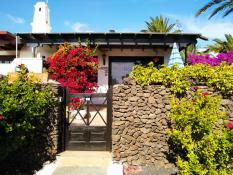 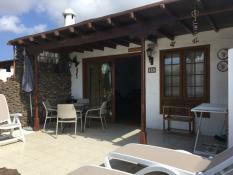 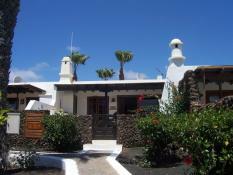 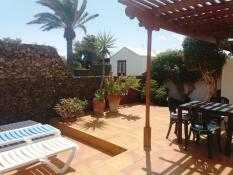 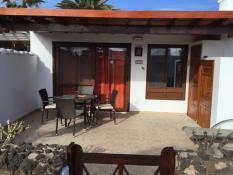 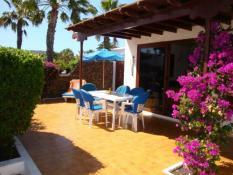 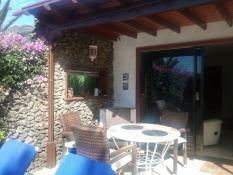 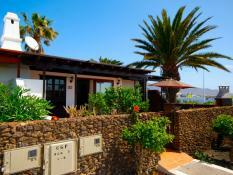 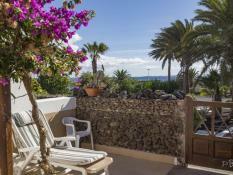 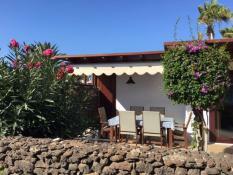 Casas del Sol is very easy to get to and from the airport, with different sorts of transport. 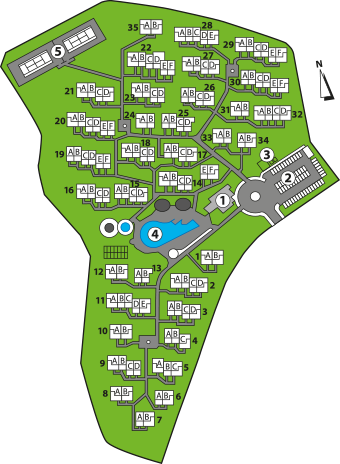 There are beaches, shops, restaurants and all the main amenities of the town within a short walking distance. 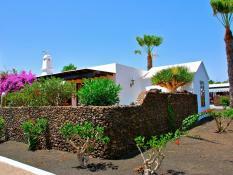 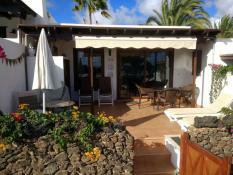 The villas are situated in landscaped sub tropical gardens around a large heated sea water swimming pool. 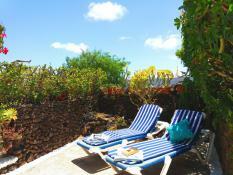 Every villa has a south faced private terrace with outdoor furniture and sun loungers. 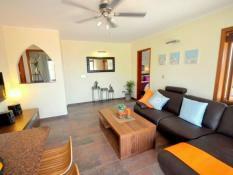 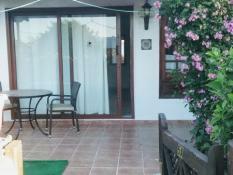 All the villas are self-catering and come with a fully equipped kitchen, TV, washing machine and microwave. 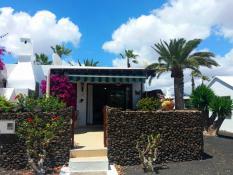 The complex also features a reception with a mini Mercado, two tennis courts and a Boules pitch. 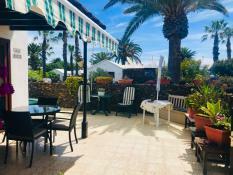 The spacious private car park ensures that the complex is predominantly pedestrianised, even though vehicles are permitted access to certain areas to facilitate luggage drop-off. 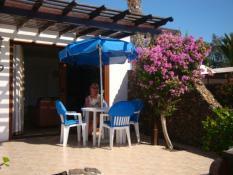 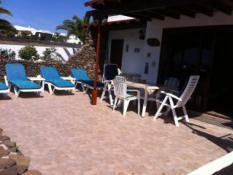 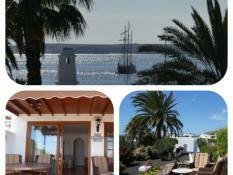 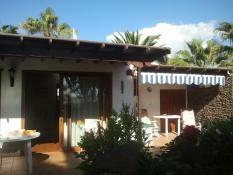 Casas del Sol is a laid back, friendly complex and the perfect place to spend a peaceful, quiet holiday for all ages.